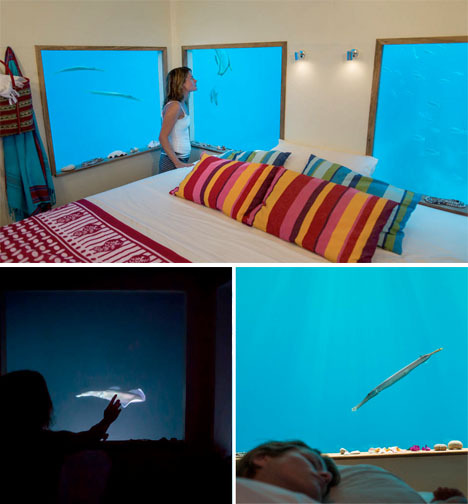 Watch eerily illuminated sea creatures swim past your windows at night as you fall asleep on your own ‘private floating island,’ an underwater hotel room at the Manta Resort (photography by Jesper Anhede). 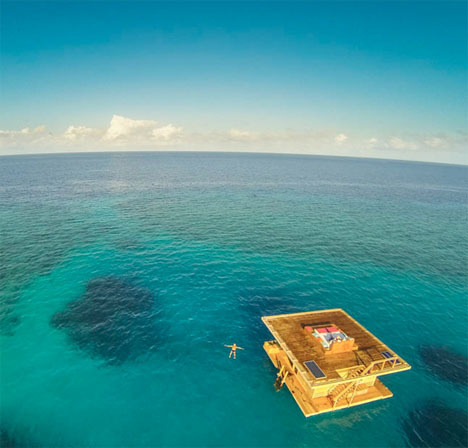 This special getaway is a two-story floating wooden structure with a submerged bedroom, a surface-level deck that lets you dive into the sea, and a rooftop lounge area. 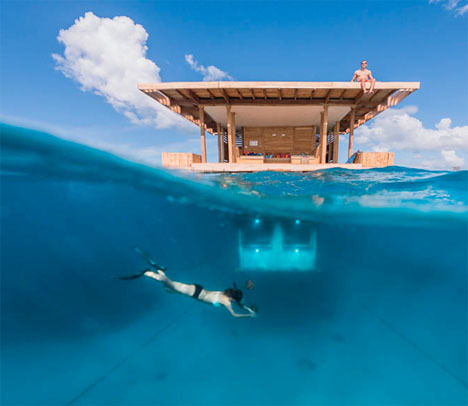 Located off the eastern coast of Africa near Pemba Island, the artificial floating island has virtually everything you’d want from a resort – as long as you’re okay with near-total seclusion. That means no other guests, but also no waiters or other attendees. You might be okay with that, given the scenery – but no worries, you can always take a boat back to the main resort to enjoy the restaurant and spa. 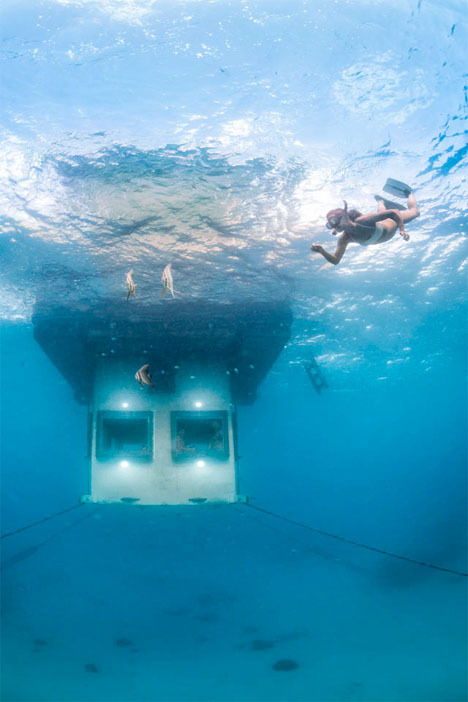 Designed by Swedish firm Genberg Underwater Hotels, the three-story structure is envisioned as a private getaway for a couple. It’s anchored to the sea floor from its four corners so it won’t float away, bobbing gently on the sea. Guests can enjoy views of all sorts of marine life, and coral reefs. After dark they’re still visible thanks to underwater spotlights beneath each window.